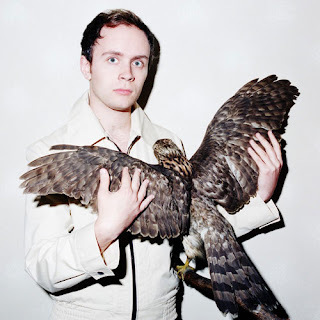 Swedish pop king Jens Lekman is planning to release a 5 song EP on September 20th. The album, titled An Argument With Myself, marks the singer’s first release since 2007 and is a welcome addition to the Jens Lekman catalog. As demonstrated by the new EP, Lekman has a knack for creating catchy pop melodies and accentuating them with an innocent, boyish flare. Another perk is that he never fails to throw in a few humorous lines which manage to arouse a euphoric sense of joy like no other artist can. Take “Waiting for Kirsten,” (apparently about waiting for Kirsten Dunst outside of her hotel and following her to a club), when he croons “I know, I know, no one told her before in Gothenburg we don't have VIP lines.” You can find the entire EP streaming online at New York Magazine's Vulture site here. Meanwhile, check out a live video of Lekman performing "Your Arms Around Me" below.